It’s not very easy to operate as a non-profit organization, as any non-profit will be quick to tell you. You have to juggle a tight budget, volunteers, hard-to-meet deadlines all while racking your brains for a way to inspire people to engage with/participate in/donate to your organization. For most non-profits, the element of people interaction is usually an essential part of the organization’s work, which often relies on people’s cooperation to meet its goals. In addition, money is always an issue as most non-profits are looking for ways to raise money, not spend it. Enter in QR Codes! QR Codes are great for non-profits because: 1) they’re incredibly cheap and often free, and 2) they’re all about hands-on people engagement but in an innovative, easy-to-use manner. QR Codes are exactly the offline-to-online connection that many non-profits are looking for – a quick and easy way to get people involved and interested in what you’re doing. They also have that additional glamour of being in the forefront of mobile marketing which appeals to all the tech-savvy people out there. You can use QR Codes on all of the print products of your campaign such as mail, signs, flyers, billboards and posters, as well as in your newsletters and websites. And now that Visual QR Codes are available, you don’t have to push them to the corner of your design. Use your QR Codes to direct people to your organization’s/project’s website so that they can learn more about you or use them to promote certain events or on signs so that people can access information much more quickly (excellent for museums, zoos, libraries and buildings). If you’re still skeptical about the ability of QR Codes to boost your organization – check out some great success stories like The Big Wild in Canada who used QR Codes to gather signatures for their petition and City Harvest in New York who used QR Codes to help advance their fundraising efforts for feeding the hungry. So why wait? Start using QR Codes as part of your campaign and you’ll see how quickly they’ll help bolster your organization. And make sure to check out Visualead’s special offer for non-profits and educators! Being Visualead's creative writer is a dream because I get to combine my twin loves - writing and technology! I find the QR technology truely fascinating as I think it's the best O2O solution out there and it's exciting to see more and more people usingVisualead's revolutionary codes. 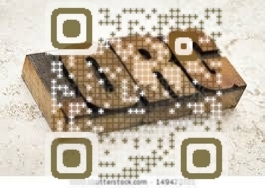 Stay tuned for more updates on innovative uses for QR Codes and marketing info.